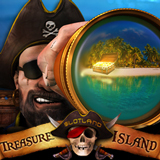 Avast me hearties -- there's been a massive progressive jackpot win at Slotland on its pirate-themed Treasure Island slot game. Carol S. won $207,008, Slotland's biggest pay out this year and one of the largest wins their frequently-hit site-wide jackpot has ever had. Appropiately enough, Carol is going to use some of her winnings to seek out her own Treasure Island. She's already booked winter holidays in the Florida Keys and Hawaii. It would have been nice to have had this big jackpot win during the casino's sixteenth birthday celebrations last month but I imagine the winner is quite happy to have waited a couple of weeks until the jackpot rose to this near record breaking level. Slotland’s jackpot is regularly hit several times a year so it never gets to be millions. Lately it's been averaging $135,000 to $180,000, so this one of the largest wins in awhile. The second largest jackpot went to $207,241 Henry W. who won playing Treasure Box in November 2011. Sinclair U., an American dad who won $266,800 playing the nostalgic fair-themed Carnival, still holds the record for the biggest jackpot ever. Carol said that although she’s tried the new Treasure Island a few times, she actually prefers more traditional slots like Double Luck and Fruit Mania more often. With such a big win, Carol can have her island vacation and still pay off some bills. She said she'll also do some overdue renovations in her kitchen.